Below is Melanie Fiona’s video for her single “Ayo”… If you haven’t heard her album, you’re slipping… She can sing and she’s bad! Usher and Nicki Minaj premiered the video for their song “Little Freak” last night. This is my favorite recent Usher song because I liked it off break, unlike others that had/have yet to grow on me. I still haven’t listened to his album, Raymond vs. Raymond because it’s been having mixed reviews, but maybe one day. 🙂 Check out the video above! Singer, Monica has been in the music business for almost 15 years. 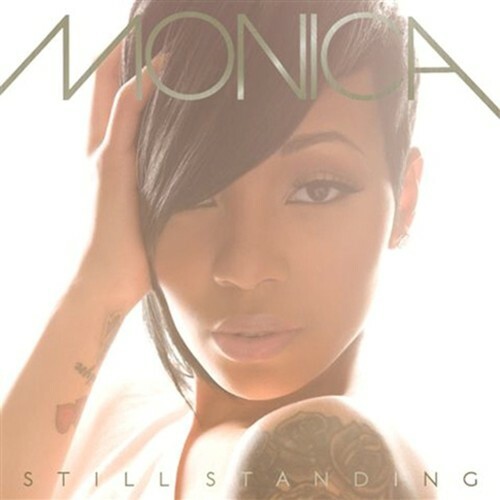 Her album Still Standing drops today and the title couldn’t be any more correct, despite her recent break-up with her boyfriend and baby’s father Rocko and despite many of the trials and tribulations that young Monica, she’s only 29, has been through throughout her career, she is still standing and her voice is still beautiful. Go pick up her album today!! I heard it’s already sold out in some stores which is excellent. When I heard her single, “Everything to Me” I knew she was back in a BIG way! I wish her much success with her sixth album. Monica – “Everything To Me” Video! After spending all day listening to these two mixtapes during my free time I’ve decided to post them on here for everybody to easily DL them! Click the Album Cover for the link! One of my favorite singers, Teedra Moses released a mixtape as well! Entitled, “Royal Patience Compilation”, the album is filled with smooth jams similar to Complex Simplicity… She definitely needs to release another album! Shoutout to Andrea over at Uptown Lounge with Andrea Brown for informing me about this! Click the Album Cover to download!